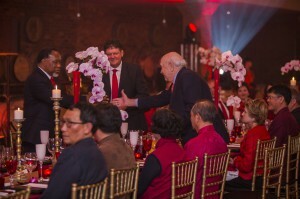 As part of our cooperation with Chinese partners, Perfect China, we have developed a special blend of red wine for former president of the Republic of South Africa, Mr FW de Klerk. 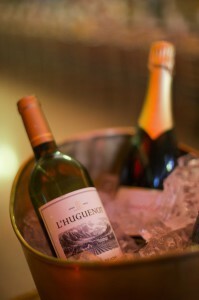 The FW de Klerk Signature wines, Presidential Blend is exclusively available for purchase via the elaborate Perfect China distribution channels and since we have been working together, a close relationship has formed between Mr de Klerk, Perfect China and L’Huguenot Vineyards. 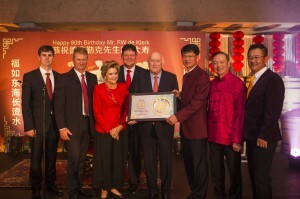 Therefore, as our annual incentive trip and harvest experience for the top performing Perfect China distributors coincided with Mr De Klerk’s recent 80th birthday celebrations, we decided to host our own birthday party for him, celebrating the enormous contribution Mr De Klerk has made to the life of every South African. 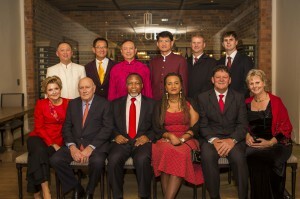 Joining the occasion was Mr Kgalema Motlanthe, another former president of South Africa. 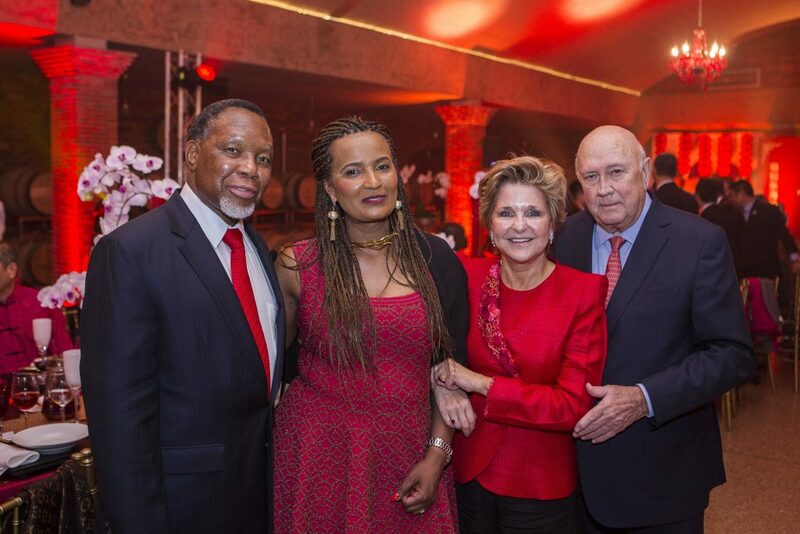 In a beautiful tribute to Mr De Klerk, he focused on the humanity of iconic figures such as Mr De Klerk. 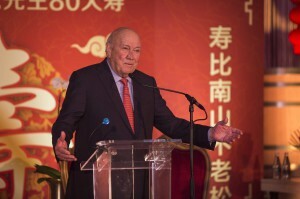 “In his (Mr De Klerk’s) portrait, he sits on the ground, in lotus position. He is in a suit and barefoot, shot against a backdrop of mountainous terrain. This photograph, prompted by the creative imaginings of photographer Adrian Stern, is a unique reflection of the statesman. Indeed President de Klerk is quoted as saying: ‘Let me congratulate you, you have succeeded in getting me to do something which is absolutely against my nature’. These sentiments were beautifully echoed in Mr De Klerk’s address at the end of the formalities when he urged the audience to understand the importance of working together. That the people of a nation should collaborate in the success of their country and that even bigger than that, people of different nations should work together in ensuring economic success and the resulting upliftment of its people. That it is more about people than politics. Two important lessons from two great statesmen at a birthday dinner in the Winelands: Humanity and Cooperation. 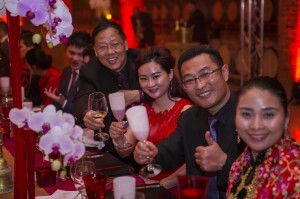 latest trends on business and wine. In his pursuit of business leadership, Hein focuses his efforts on building world brands and establishing international distribution channels. © Copyright 2018 Hein On Wine. All rights reserved.